What do you get when you mix together some veggies and cacao powder? Well, some rather awesome chocolate cauliflower ice lollies of course. And if you add in some extra melted chocolate and sprinkles, well you get something beyond awesome. I can picture you all looking at the images of these ice lollies and going yes, yes, yes. 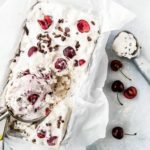 There is a time and place for decadent, spending all day making, melt in your mouth desserts, as there is for quick whipped treats that that leave you with more you time for indulging and licking your fingers, spoons, bowls and plates clean. And so, it should be. 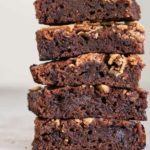 But even more so is the time and place for the desserts that combine that much needed rich decadence with incredibly quick and easy preps and nourishing, plant based ingredients. 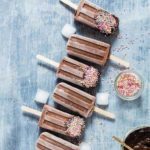 Yes, these vegan chocolate cauliflower ice lollies are tasty, easy, oh so good for you and so much more. These combined give a rich, silky smooth dessert, that you can quite addictively eat right out of the blender with a spoon. I won’t judge you, I did. 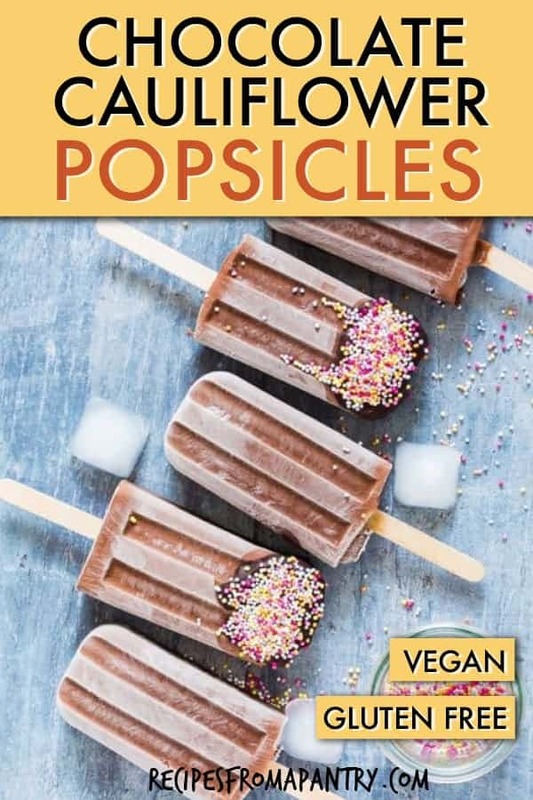 I really like that these cauliflower chocolate ice lollies are a treat, not only for vegans, but for those wanting to follow a refined sugar-free lifestyle (excluding the sprinkles of course). Plus, the hidden vegetable eats that parents and savvy friends sometimes need to try, because face it cauliflower does not have the best reputation, right? A little bit of something for everyone. 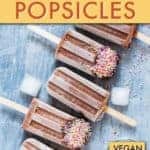 I can’t take any credit for these vegan chocolate and cauliflower ice lollies. 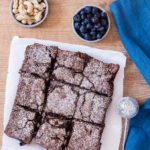 No, that goes to my good friend Kate Hackworthy from the blog, Veggie Desserts. 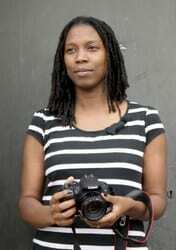 I first e-met her about three and half years ago when we were both up for a blog award. Any illusions I might have had about winning, were quickly broken when I went to check out the ‘competition’. 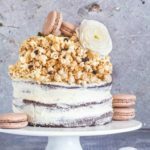 I found a blog full of stunning vegetable desserts from cakes to muffins and from ice cream to tarts and everything in between. I pretty much ignored all the work I had scheduled and sent a few good hours drooling, bookmarking and even making some of her recipes. I have been a fan ever since. 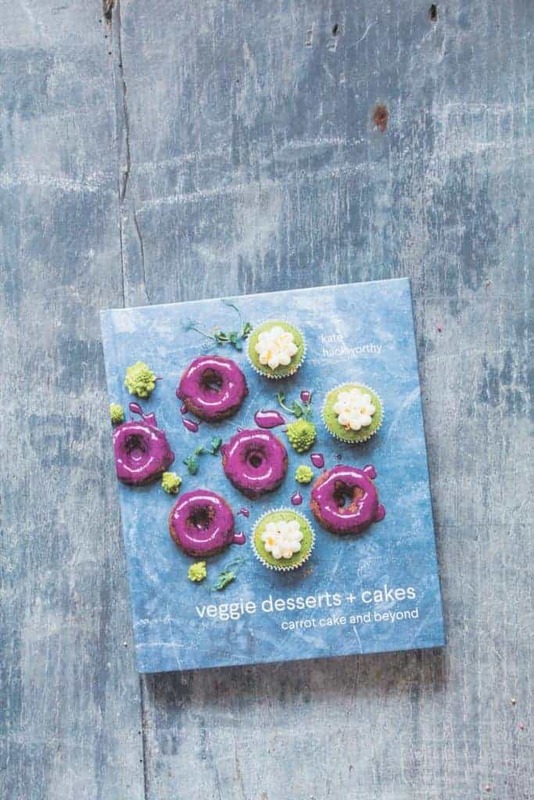 So, I was more than pleased to receive a copy of her brand-new cook book veggie desserts + cakes. And yes, you guessed it the 60 recipes in this is about celebrating vegetables loud and proud, not about sneaking vegetables in. I plan to try making at least a couple of recipes each month till I work my way through every recipe in this cookbook. Go check it out and feel free to buy a few copies for family, friends and upcoming Christmas pressies. Find out more on the cookbook using @veggie_desserts and @PavilionFood1 and #veggiedessertscookbook on Twitter. Also please check out the recipes made by other bloggers from the cookbook including avocado lime tarts from The Veg Space, carrot gingerbread from Farmersgirl Kitchen, beetroot vanilla sorbet from Natural Kitchen Adventures, calvo nero and orange cupcakes from The Hedgecombers, carrot gingerbread by Ren Behan. 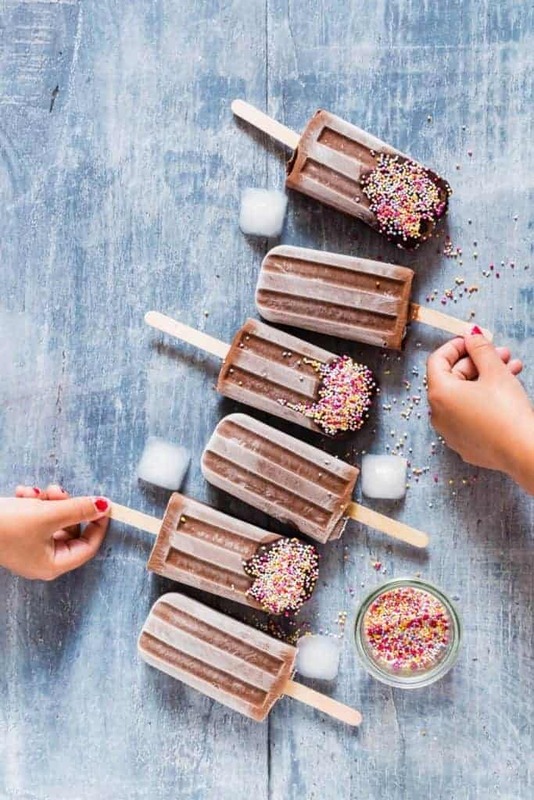 So here is how to whip up these chocolate cauliflower ice lollies. Please do try them and if you do make them, then please do tag #recipesfromapantry on Instagram or twitter so that I can pop over and have a look. It is really, really awesome for me when you make any one of my recipes. Balsamic Roasted Berry Ice Lollies. Thank you for reading this chocolate cauliflower popsicles recipe post. And please come visit again as I continue dreaming up recipes, African recipes, Sierra Leone recipes, travel plans and much more for you. Thanks to Pavilion Books for sending me a copy. Don't forget to tag #recipesfromapantry on Instagram or Twitter if you try Chocolate cauliflower ice lollies! It is really, really awesome for me when you make one of my recipes and I'd love to see it. You can also share it on my Facebook page. Please pin this recipe to Pinterest too! Thank you for reading Recipes from a Pantry. Steam the cauliflower until just soft, then rinse under a cold water to stop it cooking and drain well. Add the cauliflower and all the other ice lolly ingredients in a high-speed blender and whizz until smooth. 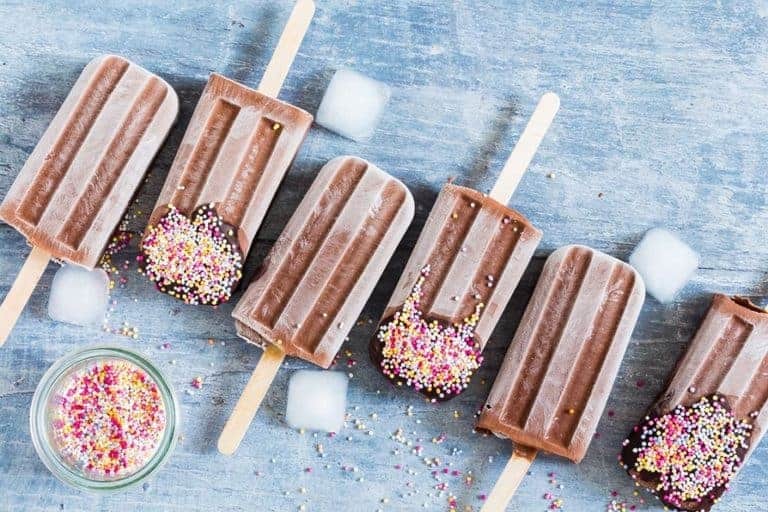 Pour into the ice lolly moulds and freeze for 1 hour. Remove from the freezer, add in the lolly stick and freeze until solid. 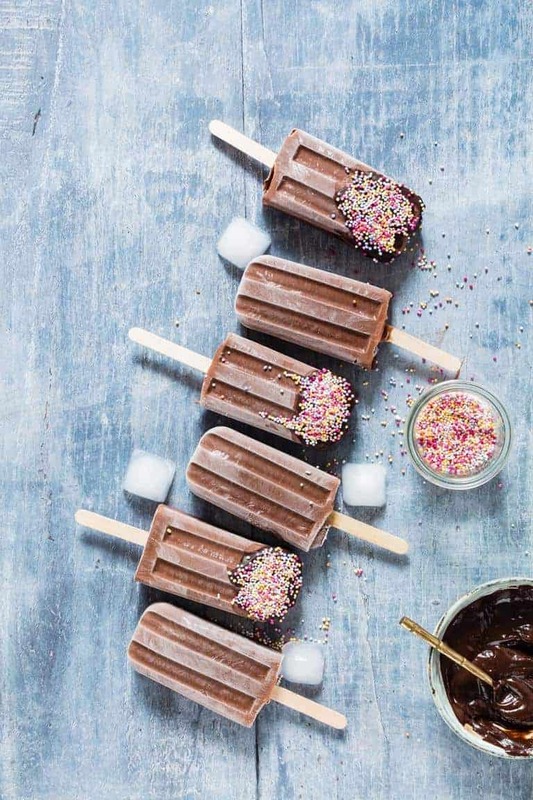 Dip the ice lollies into melt the chocolate and then the sprinkles before serving. Thank you sooo much for such a wonderful review and stunning recreation of the recipe! I feel very emotional! We love your book in this house. So our pleasure. Chocolate + Cauliflower?! AMAZING! Love this creative combo. This book looks awesome – what a great giveaway! Who knew you could make such a wonderful treat with cauliflower? Fascinating and super creative! So nice to see a lovely book aimed at vegan desserts. I must admit, seeing the title of your recipe did make me wonder, but having read through, they do sound tempting. The whole book is certainly tempting. 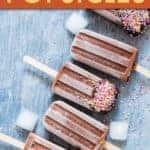 Chocolate and cauliflower ice lollies? I love the idea. The books is definitely full of interesting recipes! This is such a cool idea! I’ve put cauliflower in my smoothies before and it was good so I could see this being yummy! Well, aren’t these little frozen goodies genius and they look so totally yummy! I am going to whip up some for my kids! Yaye, I know they would like these. I love that cookbook. Your remake of this wonderful dessert is beautiful and so inviting! This recipe is really interesting and different. I’m intrigued! Cauliflower in popsicles? My mind is blown! Loving the healthy, fiber filled ingredient list! Those look so good! I never would have guessed they were made with cauliflower. Wow, you’ve definitely done them justice Bintu, they looks stunning! I’ve really enjoyed reading Kate’s book, it’s so stunning and everyone I’ve shown it to falls head over heels! This book sounds fascinating. And by the look of those lollies and the donuts on the front cover, rather tempting. So smart! I love this. I add cauliflower to smoothies all the time but hadn’t thought to make popsicles with it yet! These photos are stunning, btw..that background is perfect with the chocolate pops! I just can’t imagine what these taste like! – Wonderful I hope! What a stunning recreation of Kate’s recipe! 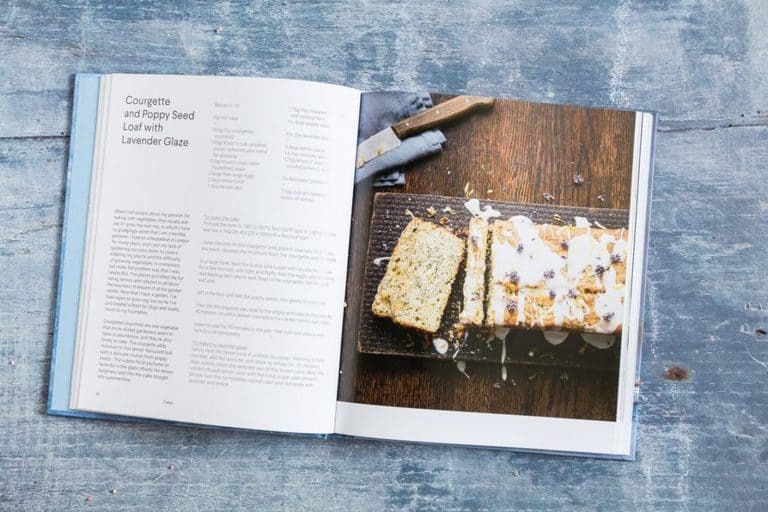 I adore Kate’s book so much and have tried two recipes already, including one that you highlighted – Sweet Potato and Salted Hazelnut Cookies. In fact, I’ve made three different sorts of tweaky batches! I just know that anyone who buys this book will get a lot of use – and joy – from it. Even though I’ve seen these lollies in Kate’s book, I still stared. They look so beautiful and it’s somehow just a bit hard to imagine cauliflower in the mix. I’ve really enjoyed reading these posts and seeing what everyone has made. Lovely post, lovely book.